A new way to treat acne, is at it’s source, deep within the skin. Our Icon™ laser can safely treat pore-clogging bacteria and subsurface oils that result in acne breakouts. Laser treatment of acne is especially effective for those have not been successfully treated with oral or topical treatments. The condition of your skin when we begin therapy will affect how many sessions you may require. Some see great response after one session, while others will need follow up sessions for optimal results. Many patients find the treatment soothing, similar to a warm massage to the face. This treatment method requires no downtime and you can apply make up as soon as your session is over if you wish. Reduces and facilitates the healing time of existing acne. Kills acne causing bacteria and reduces excessive oil production. Treatment helps reduce active acne and speeds up healing time of existing acne. A full-face treatment session often takes less than 20 minutes. Medical aesthetic technology that is proven safe and effective on ALL skin types. 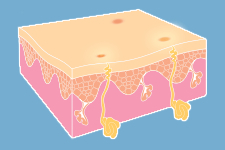 Acne occurs when a sebaceous oil gland surrounding a hair follicle becomes clogged with oil and dead skin cells. Bacteria growth in this clogged environment can cause infection and acne blemishes. The combined bi-polar radio frequency and blue light energies of the Icon™ laser penetrate the skin to precisely target and destroy active acne-causing bacteria, while also slowing excessive sebaceous oil production. Treatment helps in reducing active acne and speeds up healing time of existing acne. Will laser treatments get rid of my acne? It’s highly likely that your skin condition will improve with laser treatment due to the bacteria killing power of the laser. 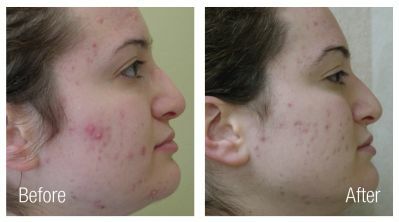 Depending on the severity of your acne, multiple treatments may be required to achieve desired results. Proper skin hygiene is still highly important in reducing acne problems. 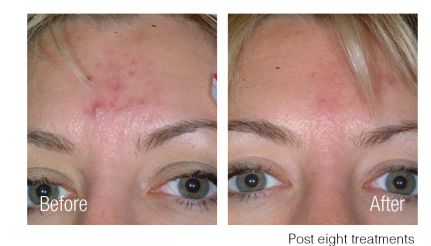 Laser acne treatment is very comfortable and requires no topical anesthetics or other skin preparations. 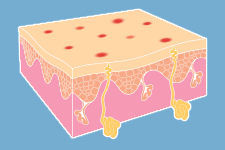 Cooling of the skin surface helps ensure additional safety during treatment. Most people feel a warm response when the laser is fired but it should not feel uncomfortable. You won’t have to ‘hide’ from people after treatment either. This no-downtime method allows you to return to your normal activities immediately after treatment. How much does laser acne treatment cost? Treatment costs vary depending on the severity of your acne, and how many treatments are required. To schedule a consultation, call our specialists at 808.885.9000 or drop us an email.